I have to confess I thought I had never heard of the Julian Alps when Lonely Planet named it one of the top 10 regions to visit in 2018. The Julian Alps are the official name of the Alps when they stretch from Italy across Slovenia. 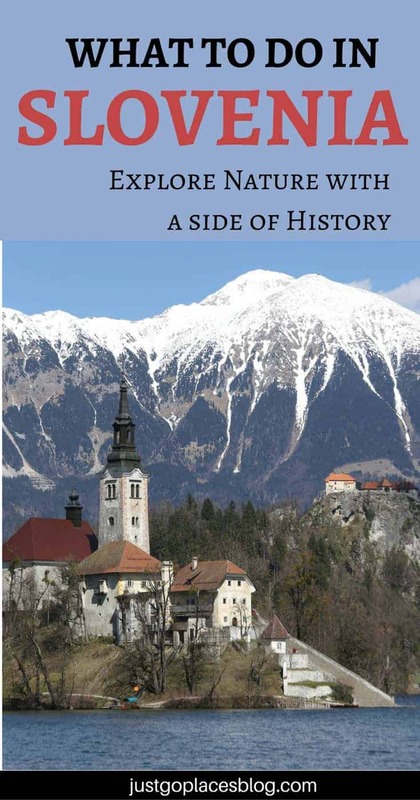 The Julian Alps of Slovenia are named after Julius Ceasar who built a town at the foot of the mountains. The most famous place now in the Slovenian Alps is Lake Bled, the most popular resort in Slovenia. You may have seen photos of the charming little church set in the middle of a lake surrounded by mountains. There is, however, so much more to the Julian Alps than Lake Bled! 2.5 Join our growing community of readers! So what are the best things to do in the Slovenian Alps? Any and all forms of hanging out in nature such as hiking, skiing, biking, skydiving, canyoning and white water rafting. Lake Bled obviously is a must-see even if it is super popular with tourists. It is as beautiful as you would expect. You take a boat out to the island on the flat-bottom boats and then climb 99 steps to see the church. On the shores, you can visit beautiful Bled castle perched high on a cliff overlooking the lake. During the Austro-Hungarian Empire days in the early 20th century, Lake Bled was an important health spa. Some of the Lake Bled accommodation still have pools that are fed by thermal springs, such as the 5-star Grand Hotel Toplice, a member of the Small Luxury Hotels of the World. Hotel Vila Bled, is another high-end Lake Bled accommodation option. This hotel is the converted former residence of Marshall Tito back when Slovenia was part of Yugoslavia. When Tito wasn’t busy repressing his people, he would entertain a whole host of world leaders at this vila, among them Russia’s Kruschev, Egypt’s Nasser and North Korea’s Kim Il Sung. The hotel’s decor likewise harkens back to hits heyday in the 1950’s. You know if there is an Austro-Hungarian influence in the area, they are bound to have good cakes! The Bled Cream Cake is no exception with more than 12 million pieces of cream cake sold to date. Triglav National Park is the area around Mount Triglav, the highest mountain in Slovenia. It has many different options of hiking trails that will let you explore the beautiful scenery at your own pace. 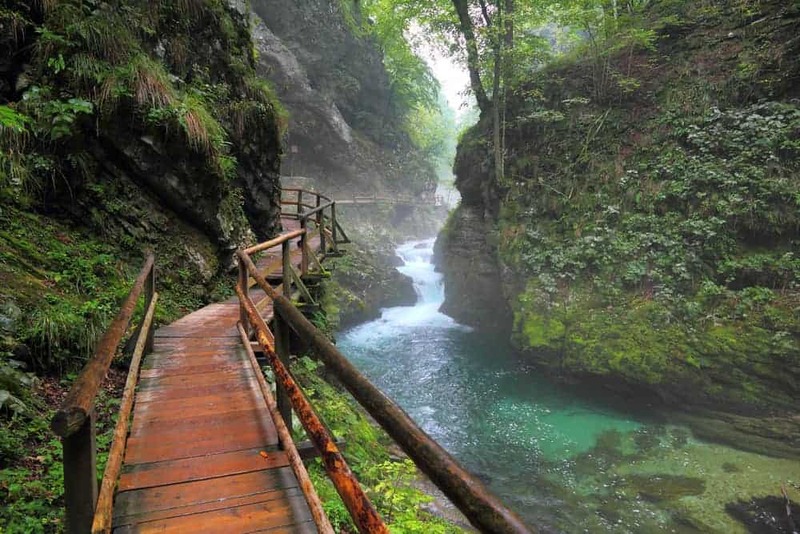 Walking in Slovenia is geared towards all levels of ability so everyone of all ages can participate. If a walking holiday in the Alps does not sound like your cup of tea, hire a car and head further into the Slovenian mountains. Less touristy than Lake Bled is the charming Lake Bohinj, the picturesque Soca Valley with the Soca River and charming little towns such as Radovljica and Bovec. 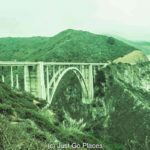 For a hairpin-turn drive through the mountains, check out the Vrsic Mountain Pass which is considered one of the most scenic and exciting drives in the area. Not enough adrenaline for you? Consider the Mangart Pass is the highest road in Slovenia. Both of these roads appear on the Dangerous Roads website. You do you. In the winter, Bovec is the nearest town from three Slovenian ski resorts. Kanin-Sella Nevea, a joint Italian-Slovenian ski resort, is Slovenia’s highest ski resort. You also have resorts at Tarvisio and Kranjska Gora. 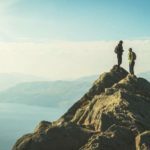 Who better to ask for advice on what to do the Julian Alps than people who have visited there, especially if they are travel bloggers? Below are the recommendation of four travel bloggers on what they liked about the Slovenian Alps. Slovenia is often understated as travel destination. 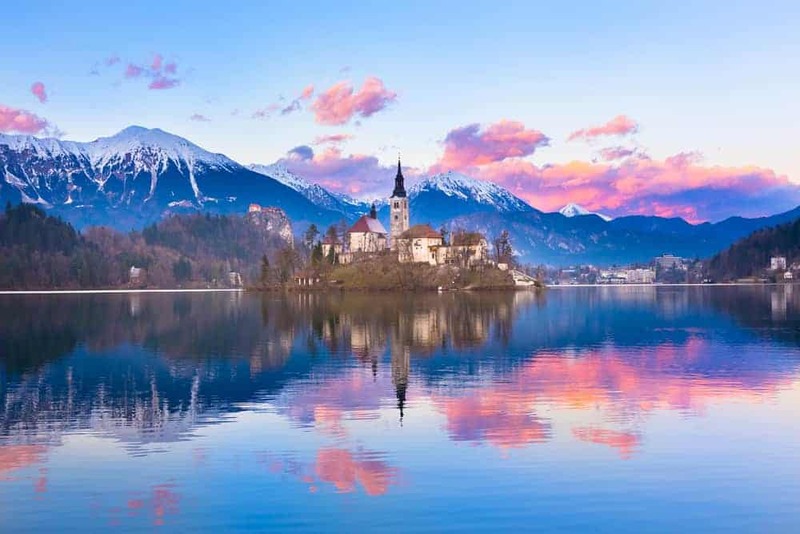 However, this little gem is home to natural beauty, varying from the mountain ranges of the Julian Alps over gorges to vast lakes, such as the highlight of the region: Lake Bled. For centuries, Lake Bled with its island, which is actually the only one in the entire country, has been known as a paradise location. It’s full of beauty, wealthy of legend and hosts a special power that will help every visitor to restore the own well being. The island in the middle of the lake can be visited through traditional boats, called “pletna”. Also, the lake is surrounded by not only mountains, but also by a castle that functions as an open-air museum. 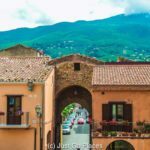 Within the whole area of the castle different artists showcase their traditional art: whether it is the printing of paper, the decoration of wine bottles or honey making – every visitor can try these cultural inherits him- or herself. Besides a visit to the Lake bled, one should head further for the hills by the surrounding Julian Alps. Go hiking, enjoy whitewater rivers and stunning high-mountain scenery, take a walk in the beautiful deep forests or, in winter time, go skiing. A great place to stay, however, is in Slovenia’s bustling capital Ljubljana, just a short drive away. Hence, you can easily stay in the city and visit Lake Bled and the Julian Alps on a daytrip. 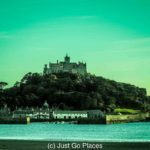 Have you ever stayed in a former prison? Well, you can in Ljubljana. The Hostel Celica has several dorms, double and single rooms that are located in actual prison cells. Check out the review on TripAdvisor for Hotel Celica! 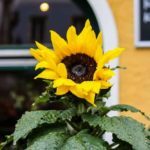 When I recently visited Lake Bled and the surrounding Julian Alps region, I was amazed that I hadn’t heard more recommendations before to visit this stunning region. Sure, I’d heard about Lake Bled, the small lake with the even smaller island, topped with an historic church. But after spending five days at Lake Bled during early autumn, I can’t stop telling people that they have to get to the often-overlooked Slovenia and this beautiful region. 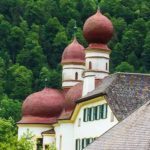 While this is an alpine region, the standout attractions for me were all about water: whether it was the pristine lakes, the crystal clear rivers or the powerful waterfalls. And as I visited in early autumn, the blue-green waters were prettily complimented by the gradual burnishing of the endless forests. The easiest spot to base yourself is in Lake Bled, itself, with its wide range of accommodation and dining options, if you don’t mind the busloads of day-trippers. 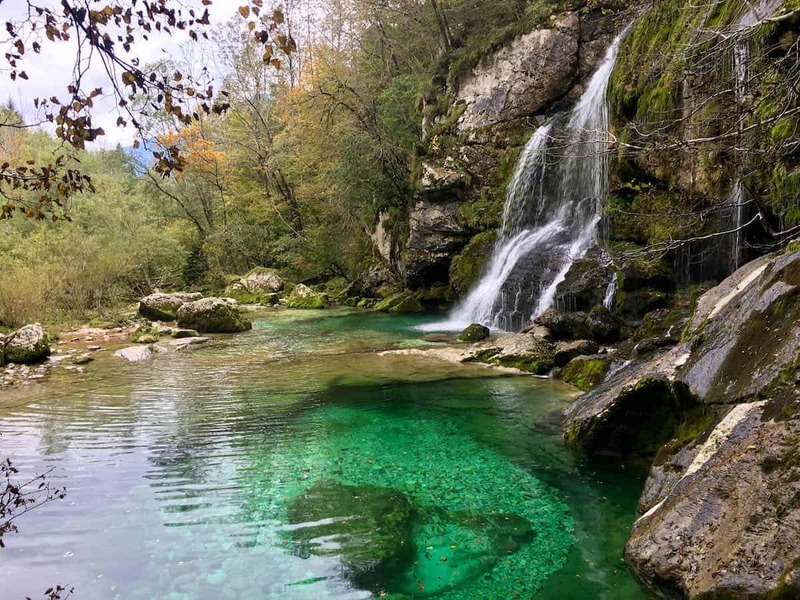 But ideally have a car so that you can take beautiful day trips to locations like the nearby Vintgar Gorge, the quieter Lake Bohinj, across Vrsic Pass and through the Soca River valley, also home to the pretty Virje Waterfall. Most people choose Lake Bled as their spot to visit in Slovenia, but there is so much more to Slovenia than just Bled. We stayed in a town called Kranjska Gora, around the corner from Bled just on the outside of Triglav National Park. Our Airbnb had a balcony with an incredible view of the mountains, the Julian Alps being a part of that. From our spot in Kranjska Gora, we were able to drive to a town called Ratece to do a hike up Tromeja, which takes you the top of mountain in the midst of the Julian Alps where you find yourself in Slovenia, Italy and Austria, all at once. Another day was spent driving around Triglav National Park to a town called Bovec, where we were able to skydive with views over the Julian Alps. 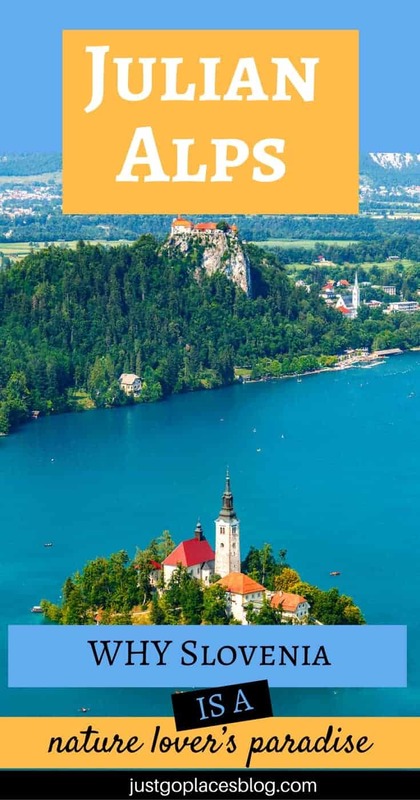 There is so much more to do in the area, between hiking, white water rafting, and I am sure in the winter the skiing would be phenomenal, I wouldn’t be surprised if this area becomes more of a hotspot than Lake Bled has been. Triglav, Slovenia’s only national park, is named for Mount Triglav, the highest peak in the Julian Alps. Located in northwest Slovenia, the park offers stunning views of the surrounding mountain range. Hiking is the most popular outdoor activity in Slovenia, and locals and visitors alike can experience the rich scenery of the Alps via Triglav’s many hiking trails. 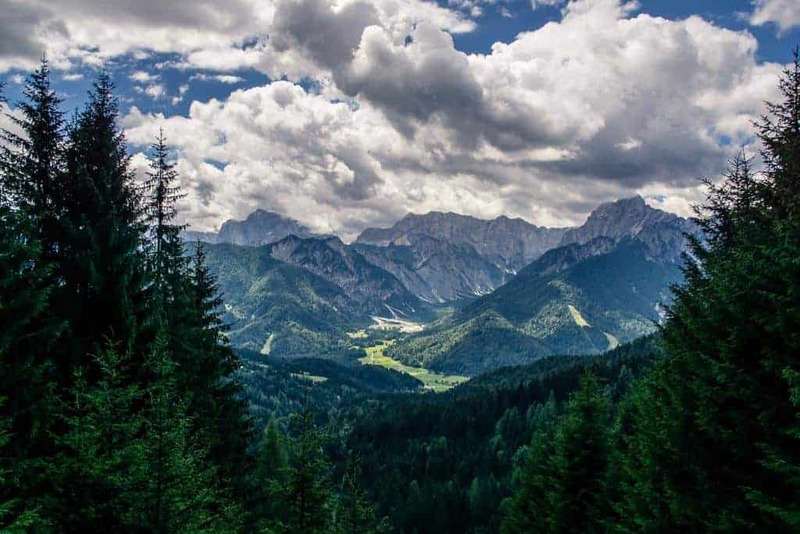 Walking in Slovenia ranges from easy day hikes through mountain meadows to strenuous multi-day hikes up various summits. With walking holidays in the Alps, travellers of all ages and abilities can take in the beauty of the park. Mountain biking and alpine skiing are also popular park activities. Pokljuka Plateau is the starting point of many popular treks, but also a destination in itself. 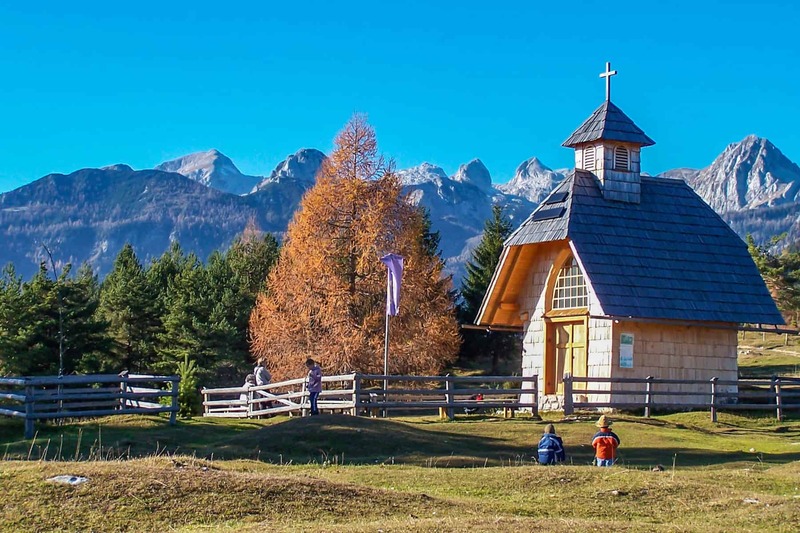 Directly by accessible by car from nearby Bohinj or Bled (I highly recommend Bled’s Penzion Mayer for both lodging and dining), a short walk to the plateau’s Uskovnica alpine meadow reveals old shepherd’s huts and a tiny church set against a backdrop of snow-capped mountains. For those with only a couple of hours, a walk around this old village to take in the spectacular views of the Julian Alps is the way to go. For those seeking more adventure, bring your tent and start your summit to the Mount Triglav peak right here. What a wonderful place. I think I’ll plan Slovenia in my to visit places list. Thank you for sharing. Beautiful Slovenia. Consider to go hiking in Triglav national park. Best way is to go from Kranjska Gora or Bovec on Vrsic Pass, entry point for some nice easy and tough peaks in Julian Alps. Sleeping there is possible in Erjavceva Koca (Mountain hut), I’ve been there. Or Tonkina Koca, Ticarjev dom, Koca na Gozdu, Postarski dom. Me neither! It makes sense considering you have the Swiss Alps, the French Alps etc.